Steel Rope Angle Adjusing Range 3.-8. 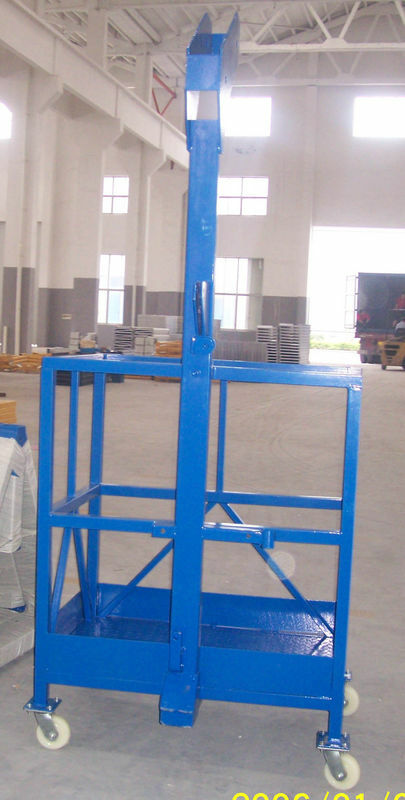 Our suspended working platform can be widely used parapet and complicated building in different height. And we can also supply customized platform to meet different requirements from customers. Wuxi Ketong Engineering Machinery Manufacture Co.,Ltd. Is located in Wuxi City ,Jiangsu province ,Which is south to Wuxi international Airport and Beijing-Shanghai high-speed railway,with superior geographical location and convenient transportation. Our company is a high-tech enterprise in researching ,developing manufacturing and exporting construction machinery , We have four series products: Tower crane,Suspended working platform, Construction hoist , Mast climbing working platform .We have two factories ,covering an area of 40000 square meters and more than 200 professional and technical personnel and workers . Products are mainly export,Our products are exported to the United States ,Russia ,Brazil,Vietnam ,Philippines, Malaysia ,India,Pakistan,United Arab Emirateds,Kuwait, Saudi Arabia, Bahrain ,Chile ,Iran ,Columbia ,Columbia , Venezuela ,Algeria,Kazakhstan more than 20 countries and most domestic provinces. Principle and philosophy: Create first-class products,Dedication to excellent service. Management Strategies: Integrity management, quality first, scientific management, the creation of the brand. Purpose: Advanced technology, superior quality, quality service.